Videos, examples, solutions, and lessons to help grade 5 students learn how to classify two-dimensional figures in a hierarchy based on properties. 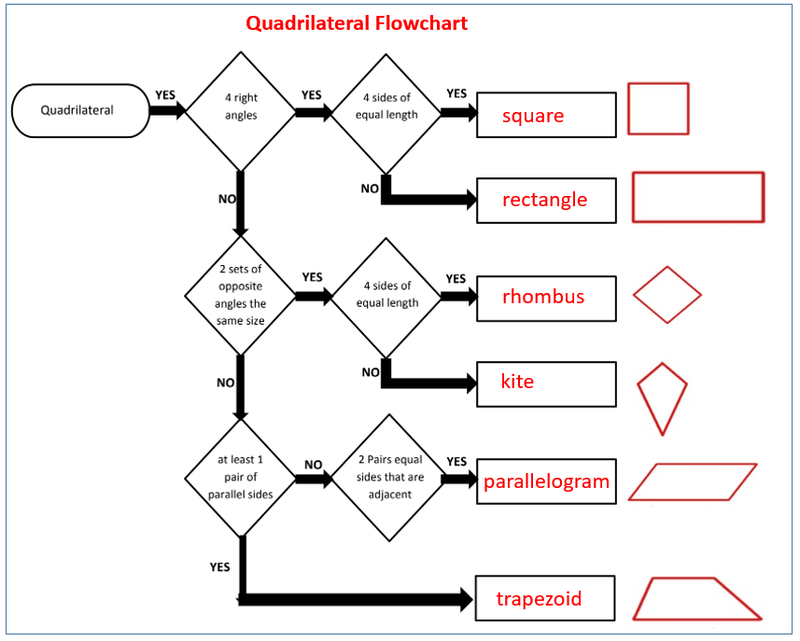 The following figure gives a flowchart to classify quadrilaterals: square, rectangle, parallelogram, rhombus, kite, trapezoid. Scroll down the page for more examples and solutions. 1. Follow the flow chart and put the name of the figure in the boxes. 2. SQRE is a square with area 49 cm2 and RM = 4.95 cm. Find the measurements using what you know about the properties of squares.